If you have ever perked up because your favorite song came on the radio, you already know that music can affect your mood. Using music intentionally to positively affect your health and wellness is known as music therapy. It is not a standalone treatment for addiction, however, it can be effectively used in conjunction with other forms of therapy and treatment. That’s why medical professionals and treatment centers across the country are embracing music and art therapy as a supplement to existing programming, and recovering addicts are extending those benefits by incorporating elements of music and art therapy into their lives on an everyday basis. Medical professionals have long noted a connection between music and improved health outcomes. Psychology Today has been used to supplement treatments for everything from autism and infant development to depression and insomnia. It is considered a natural, no-harm form of therapy because it is unlikely to have an adverse effect and it does not involve medications. One of the biggest reasons why music and art are good supplemental forms of therapy is that they reduce stress and anxiety. They act as a positive distraction from pain or temptation, and they provide a healthy creative outlet, which reduces a person’s need for any unhealthy vices like drugs or alcohol. One music therapist working with addicts noted that music helped her patients acknowledge trauma and better express themselves. Stress is a common trigger of relapse, so knowing how to cope with both the grind of daily life and any major life events that come your way is important. Use music or art as your go-to destressor in moments of crisis. Embrace adult coloring books. Try meditating to soothing music. The purpose here isn’t to be creative, but instead, to get yourself calm and centered. One tip is to use the same song or type of music to de-stress. The habit will set itself in your brain and trigger a chemical response. Write lyrics to a song. Sketch everyday objects. Put together a collage. The end product doesn’t have to be worth of a Grammy, museum exhibit or even your own refrigerator door. You don’t have to share your end process with anyone if you aren’t comfortable doing so. The point is just to embrace creation, have fun and explore new ways to express your emotions and experiences. If creating something from scratch is too overwhelming, then pour your energy into learning to play a musical instrument. It is a misconception that you can be too old to learn to play. Buy or rent an instrument that instrument you have always dreamt of playing. If you aren’t already drawn to a particular instrument, consider a woodwind like the clarinet or saxophone. 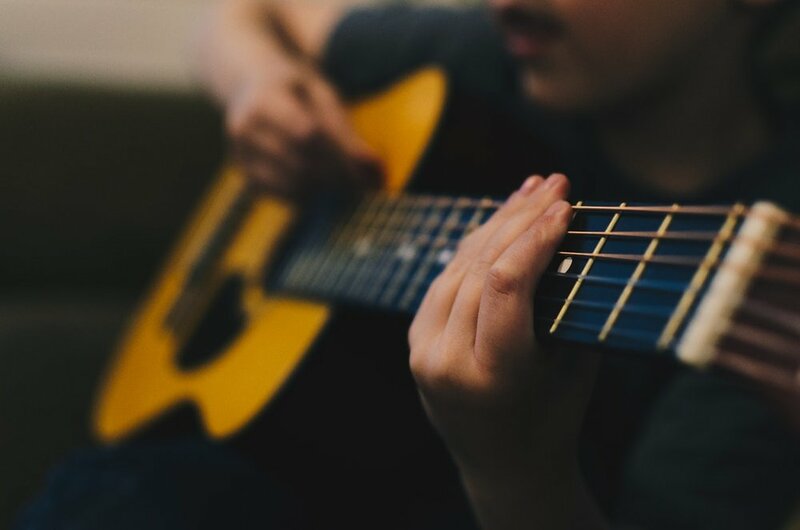 If you find that music-making is truly your niche, consider soundproofing a room (HomeAdvisor estimates the cost to be $1,645) to keep family members, friends, and neighbors happy while you practice and play to your heart’s content. Most people aren’t naturals at learning an instrument. The challenge of learning a new instrument is frustrating, but rewarding and your mind (and body) can improve when you commit yourself to the process of learning. Regardless of what your level of comfort or experience with art and music is currently, there is a way for you to incorporate art and music into your life. Doing so has mental and physical benefits and can aid you during your ongoing journey of sobriety.